The cost of selling and moving home is going to take a large portion out of your total budget for buying another home. The more accurately you can estimate this figure, the better. Within this guide we'll cover all the costs you could encounter and give you some hints and tips to keep the cost down. When you buy a property or move home, there will be a number of upfront fees, beyond just your mortgage costs, which you'll need to take into account. Be sure to include these when working out your overall budget. This is the amount of money put towards the cost of the property when you buy a home. On average, you need at least 5% to 20% of the purchase price (for example: £10,000 to £40,000 when buying a £200,000 home). Help to Buy and other government housing schemes only require a 5% deposit. Generally, the bigger the deposit, the more likely you are to be given a mortgage, and the lower your interest rate will be. This is a government tax paid when buying a home of certain value. The rate you pay depends on the purchase price of the property. Find out how much Stamp Duty you'll need to pay. When you get a mortgage the lender or bank will assess the value of your home to establish how much you can borrow. The costs can vary between £150 and £1,500 based on the property's value. Some lenders may or may not charge for this. This assessment will usually not identify all the repairs or maintenance that might be needed on your property. Before buying a home it's generally good practice to have the property checked over by a surveyor. This will let you know of any issues before you commit to purchase. Surveys range from a basic home condition survey, which will cost around £150 to a full structural survey from £600 plus. Savings can often be made by upgrading your lender valuation rather than instructing a different surveyor for each task. Paying for a decent survey could save you money on repairs further down the line or stop you making a costly mistake. You will need a solicitor or licenced conveyancer to carry out all the legal work when buying or selling your home. They will also do local searches, which can cost you around £250 - £300, these searches will check for any local plans or issues. On top of this the legal fees are typically £500 - £1,000. Typically this will cost you around £40 - £50; this is the lenders fee for transferring the mortgage money from the lender to the solicitor. This is paid by the seller of the property if they're selling through an estate agent. Generally this will cost between 1% - 3% of the sale price, plus VAT. 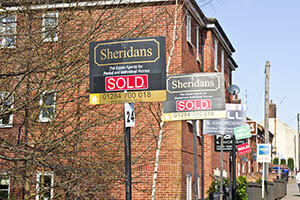 Find out more about choosing an estate agent and what to watch for. Typically priced at around £300 - £600 although you can avoid this by doing it yourself, removal companies will charge more at weekends. Find out how to choose the best removal company. 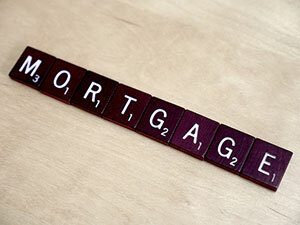 There are many different types of mortgage products available to home buyers in the United Kingdom. Remember, when you ask your bank about mortgages they will only offer you their own options. So it's worth speaking to an independent mortgage broker to find the best deals. It's usually best to pay these upfront if you can, rather than adding them to your mortgage, otherwise you'll be paying interest on them for the life of the mortgage. Your survey should have highlighted any problems that might crop up in the future. Make sure you plan accordingly. Your mortgage lender will require that you take out building insurance to protect your new home against damage from such things as fire, floods and subsidence. It's also a good idea to get contents insurance for all your possessions, and life assurance to pay off your mortgage if you were to pass away before you have paid the full amount. The amount of council tax you need to pay is based on where you live and the valuation band of the property (Northern Island rates are set individually). Find out how much your council tax you need to pay. You will need to factor in how much utilities, such as gas, electricity and water, will cost you. Don't forget charges for broadband, landline and TV packages. If you are purchasing a property that has a leasehold agreement you will have to pay ground rent or a peppercorn rent which will usually be around £10 - £100 a year. There will also be service charges for maintenance and administration fees for the freeholder. It's important to find out what these will be during the process of buying the property. Find out the difference between freehold and leasehold property. To work out how much you can spend on a new property you need to work out your total funds and subtract the cost of moving home. Using the information above along with the sum below, you should be able to work this out relatively easy. You can download the budget planner here. The Sum: total funds - costs of buying and selling = the cost of moving house. Last updated on 31/03/2015 by Jonathan Rolande.